Autumn is very definitely here. Not that I mind, I love the turning leaves, the syrupy light and squirrelling away produce for the winter. I made damson jam this evening – am sitting here with half an ear cocked to hear the lids pop. My little shelf in the pantry is stacked high with gleaming jars of jelly and jam, it’s all very satisfying! Under the enviromesh tent I have a brassica forest. 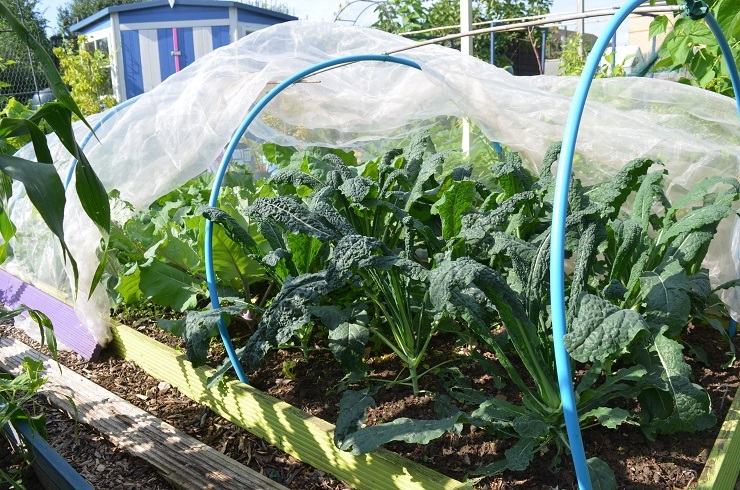 The kales are loving it in there, and the swedes and turnips don’t look too shabby either. Could this be the end of my Swede Curse? Despite the chilly weather, the chillies also look good. Even the Orange Manzanos, whic h I thought wouldn’t come to anything. The Royal Black plant is a real beauty, with inky leaves and jet black, upright fruit. I am hoping the netting bags it’s festooned with will have several chillies underneath. A couple of the Padrons are yellowing and I will see if a feed gets them back to flowering. The other 4 are still loaded with peppers, so we won’t be going short any time soon. Also really going for it are beans. 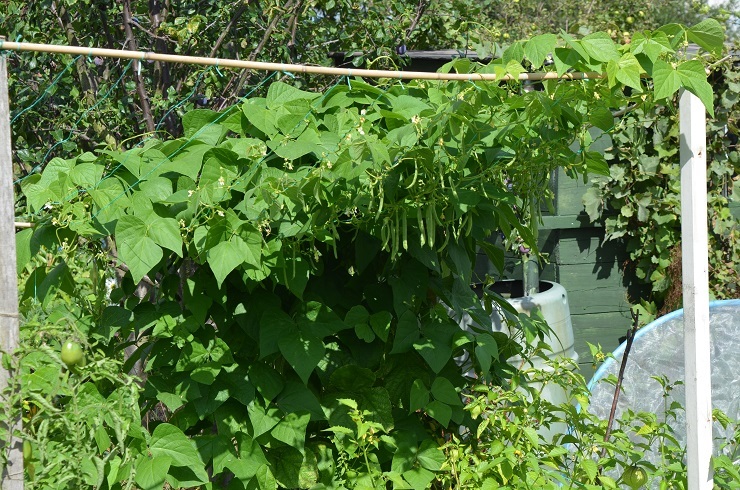 Becca the Wigwam is dripping with them, though she’s not the most practical shape for picking beans. I am particularly pleased with Sunny’s Aeron Star purple runners, because they are actually changing colour like they are supposed to. 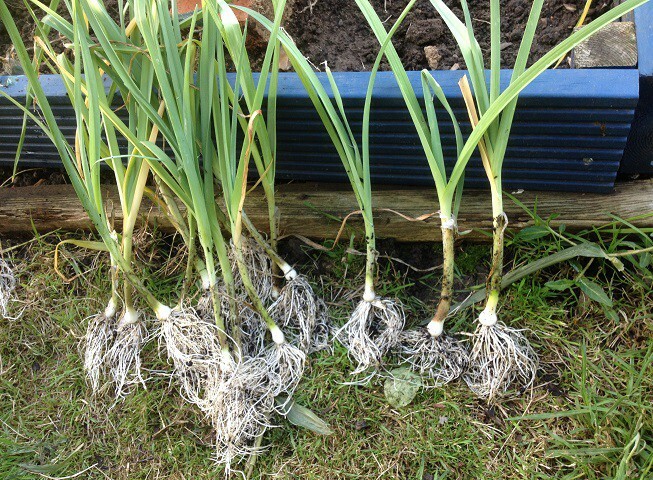 The ones I grew last year resolutely stayed green. The Munty frame is a partial success. Lazy Housewife beans just can’t climb very well and their side is a bit bare. The Cara la Virgen de la Bañera Leon beans are more than making up for it though, moving across from their own side to take over some of the strings the LH can’t reach. I’ve started to harvest the Black Coco DFB for the HSL seed guardian s cheme – it looks like I will be returning a big fat parcel to them towards December. 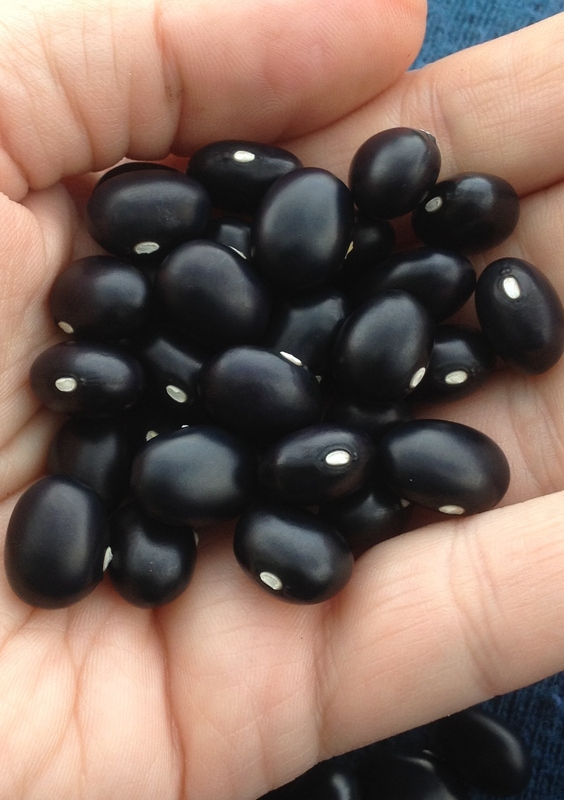 They are gorgeous – big, plump, black beans which I bet will be fantastic in soups and stews. I’ll grow them again next year for HSL, and I will be keeping back enough to sow for me too and perhaps for the next seed circle. 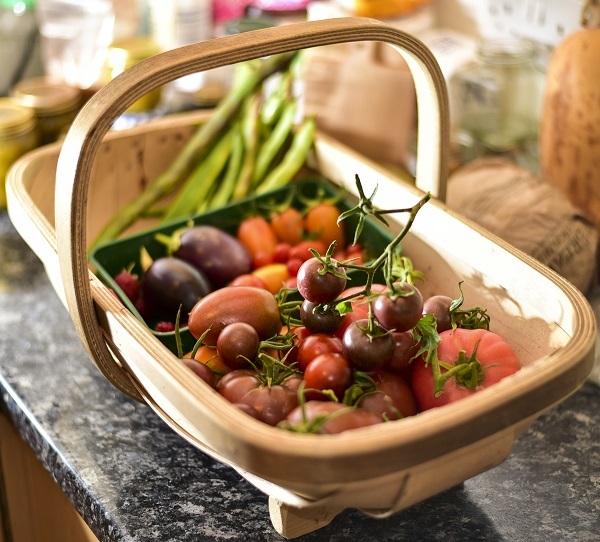 Tomatoes in the greenhouse are barrelling along, with a trug of fruit every few days which is being scoffed with mozzarella or made into sauce for the freezer. I’ve dropped the watering down to once a week, but even with that the greenhouse is soaking inside most mornings. The tomatoes outside are mostly still resolutely green – I think this will be my first chutney year.